You are here: Home / Environment / Extinction – These animals are in danger! Extinction – These animals are in danger! We Humanity may be one of the most intelligent species on the planet but it is definitely not the most dominant or the most populous. Still, humans have been incremental in the extinction of several species of animals both on land and at sea. Industrialization and urbanization are major causes for the extinction of several animal species. One of the most recent and outrageous extinction level events caused entirely by humans is the near extinction of the bee population. Bees are very important to our survival and are almost directly linked to our survival chances. If bees die out, flowers will no longer be pollinated as fast as before and all plants as such will have a lower rate of pollination. This will make plant growth stagnant. However, bees aren’t the only species about to become extinct. There are several more species on the planet whose extinction we will be responsible for. Here are some of the animals about to become extinct. 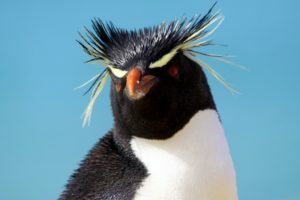 Known for having a crest on their heads, these penguins are easily recognizable. Their habitats include sub-Antarctic regions of the Pacific and the Indian Ocean and the coasts of South America. Climate change has directly affected the food and migration habits of these penguins. At a time where half the world denies climate change itself, it is painful to watch the species affected by it. This is a very popular lizard species. This lizard can survive on land and can take to the water at any time. It is native to the Galapagos Islands. 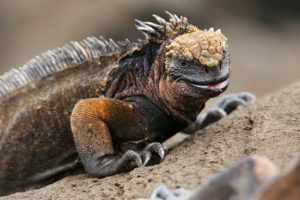 However, recent human intervention such as the introduction of dogs and cats on the island is greatly affecting the population of these lizards. These lizards are also affected by climate change which affects their proliferation. The dugong is one of the most docile underwater creatures you can find. It primarily lives in the shallow waters of the Indian and the Pacific ocean and feeds on the vegetation there. However, after rapid industrialization, these shallow waters become polluted. 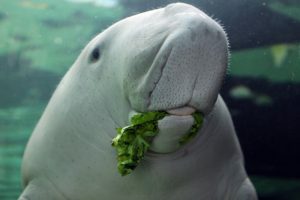 This, in turn, affects the begetaion growth in that area which will lead to the eventual extinction of the Dugong. This is an important commercial fish and is worth a lot in the market. 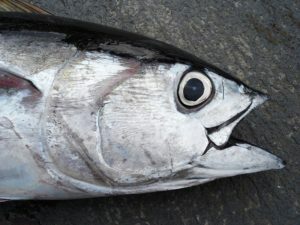 The bigeye tuna is a vital part of the ecosystem where they live. These fish are native to the tropical waters of the Atlantic, Indian and the Pacific Ocean. These fish are regularly hunted in large number for their meat which greatly affects their numbers. Frequent fishing also affects their mating patterns. 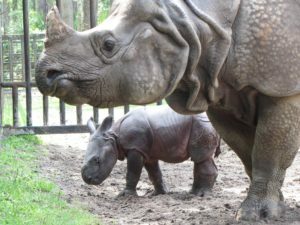 The Rhino is an iconic animal and is indigenous to North India and Nepal. Efforts are underway to prevent the extinction of this species. Conservation efforts work but poaching and illegal hunting greatly reduces the population of this species. Among the species in the ecosystem and the food chain, the Rhino is a keystone species. A keystone species is one which is very important to the ecology of that area and its extinction could put the whole area under risk. These are only some of the species that are endangered. If we don’t take strict action, these species will die out before we have the chance to mend our ways. Do you want to learn about other endangered species? Comment below.